On Saturday I attended my local Family History Fair. It was excellent. Certainly a day of learning. As I was gathering my things after the last class, I pulled out my cellphone. 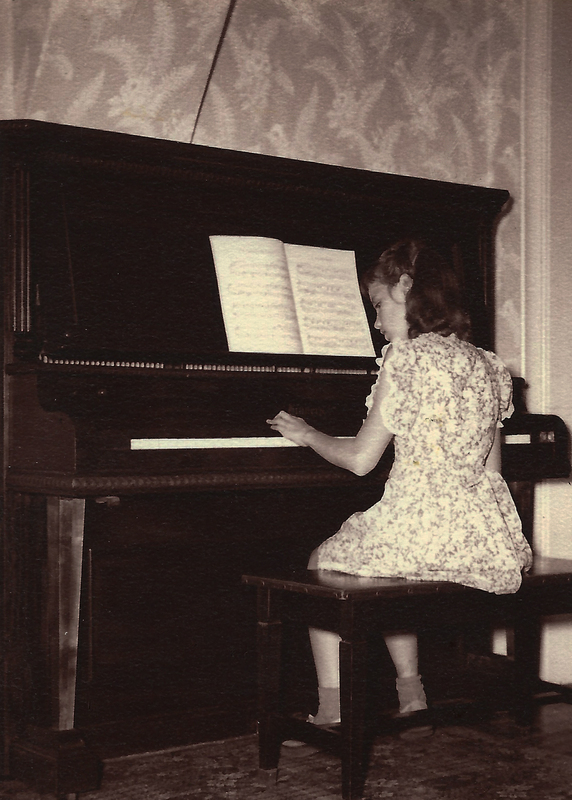 There was a text message from my mom telling me that my very first piano teacher had died. My heart and mind were flooded with memories of my first piano lesson and my lovely teacher. I took my first lesson at the tender age of four. I was so tiny. I remember my teacher having me stand on the piano bench and jump down. She talked about how I was high when I was standing on the bench and low when I was on the ground. She compared it to the piano and showed me that there is a high and low on the keyboard. I remember the room, her kind face, and the sound of her voice. I remember my parents sitting on a couch on the opposite side of the room trying to be quiet and watch. There were a few moments when I felt self-conscious knowing that they were watching. Mostly, I just remember that I loved my teacher right away. We moved away when I was eight years old. I went on to have three more piano teachers. One teacher was just for a short time, one was for my junior high and high school years and one was during college. I am grateful to each of my teachers. I have a love for music and particularly for playing the piano. I treasure my musical knowledge and ability. And because of that, I think of my first piano teacher often. She started my musical journey and I will forever be grateful to her. I haven’t seen her since I was a little girl. I never thought to send her a card and tell her how much she meant to me. I hope that somehow she knows. Thank you for that! I hope so. Oh, what a lovely sharing!